4G capable phones are a leap over 3G phones.The major edges of 4G LTE are its speed and robustness. Their browsing, downloads, and video streaming speed could exceed 10X 3G speed. Interestingly, virtually all internet providers in Nigeria now offer 4G LTE, including the likes of MTN, Glo, 9mobile, to mention a few. 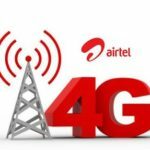 While some internet providers require users to get a special 4G SIM to access LTE, some offer the 4G feature on their usual SIMs. However, not all smartphones are 4G-enabled. This means that you need to get a 4G-enabled smartphone to leverage LTE service. Popular 4G capable phones are discussed below. Most recent iPhones are 4G enabled. These include iPhone 5c, iPhone 5E, iPhone 5s, iPhone 6 Plus, iPhone 6s Plus, iPhone 6s, iPhone 6, iPhone 7 Plus, iPhone 7, iPhone 8, iPhone X and so forth. Samsung has an avalanche of high-end 4G capable phones. 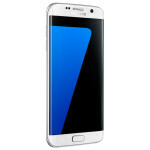 These include Galaxy J7, Galaxy J7 Prime, Galaxy S7 edge, Galaxy J5, Galaxy S7, Galaxy J3, and so forth. Huawei also has a plethora of 4G enabled phones. These include Honor 8, P9, P9 LITE, P8lite, Mate 8, Nexus 6P, P9 Plus, Honor 5X, Nova Plus, Y5II, P8 and so forth. Tecno features some of the most popular mid-range 4G LTE phones. These include Camon CX, Phantom 6, Camon CX Air, W5, Boom J8, Camon C5, Phantom 6 Plus, Camon C9 and C9 Pro, DroidPad 3, and others. Infinix is also a very popular brand in Nigeria with mid-range 4G phones. Top Infinix 4G capable phones include Zero 4 Pro, Zero 4 Plus, Note 2 (X600), Hot 4 Pro, Hot S, Zero 3, Note 3 Pro, Note 4 (X572), Hot 3, Note 2, and so forth. HTC is not as mid-range as Infinix and Tecno but it is a popular brand in Nigeria. Popular HTC 4G capable phones include One (M8), 10, One M9, Desire 626, Desire 10 Lifestyle, Desire 826 Dual SIM, Desire 728 Dual SIM, One A9, Desire 816 and so forth. With its Lumia series, Microsoft has continued to dazzle its Nigerian market. The series of Lumia 4G capable phones include Lumia 650, 950, 950 XL, 640 LTE, 550, 950 XL Dual SIM, Lumia 640 XL LTE Dual SIM, 950 Dual SIM, 640 XL LTE, and 640 LTE Dual SIM. 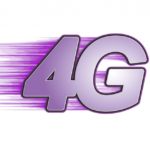 There are several other brands of 4G capable phones. These include Innjoo (Halo LTE, Fire Pro, Fire Plus, Fire2 Air LTE), Blackberry (Z30, Z10, Q10, Q5, Porsche P9982 etc), Sony (Xperia XZ, Xperia X, Xperia XA, Xperia XA Ultra, Xperia Z5, Xperia Z3 etc). Others include LG, Lenovo, Gionee, to mention a few. Are you a proud owner of a 4G phone? Tell us which you consider to be the best and leave a comment!